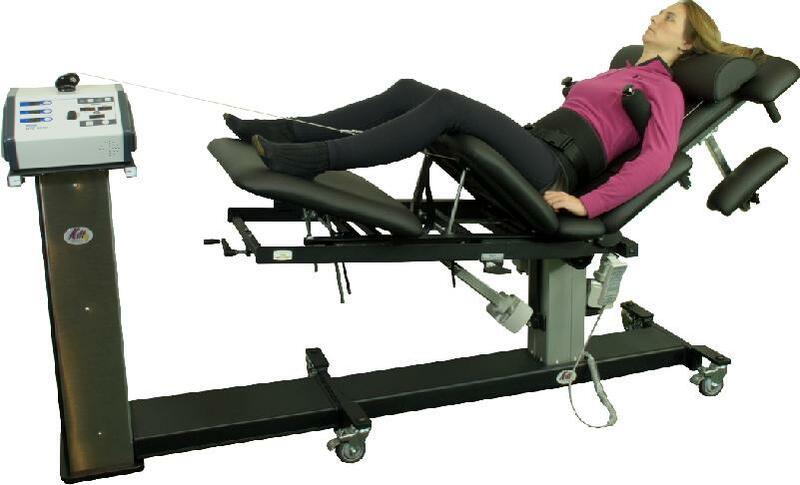 What Type of Spinal Decompression Table Do We Use? 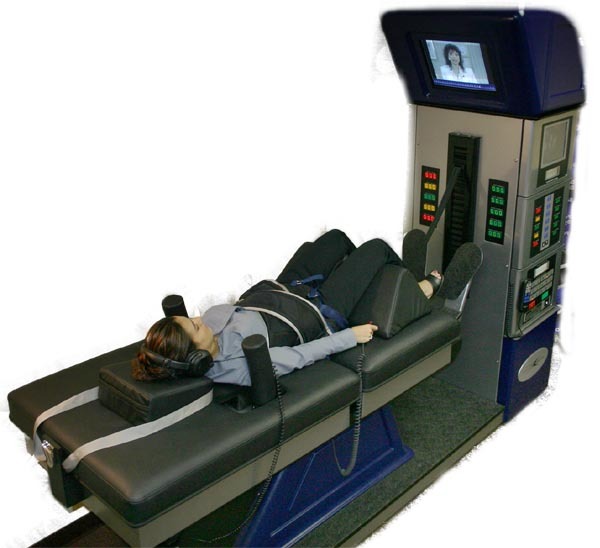 We, very intentionally and after 6 months of research, chose the Kennedy spinal decompression table. You'll notice that the patient in the photo to right is in a very different position that the patient in the photo below, who is lying flat on their back. The variety of positions the Kennedy table creates, allows the doctor to offer more specific and angular treatment to the disc. The Kennedy table is both a lumbar AND cervical table. Also, it can utilize vibration therapy during treatment. After 6 months of scrutiny and research, we believe the Kennedy table to be the most comprehensive and effective spinal decompression table in the world. Tables similar to the DRX9000 are lesser models, but due to flashy touches like the tv screen you see (we have a wall mounted tv) and CD player they were 100-150% more expensive for the patient and the doctor. Not to mention, the manufactures of the DRX9000 were reportedly raided by the FBI in 2007 and charged with false advertising, and today, they no longer make new tables. After 6 months of examination, we found the Kennedy table to be the best AND the most affordable for the patient.